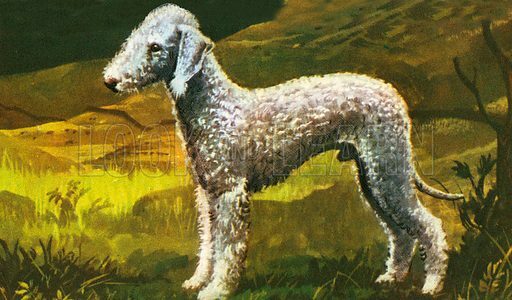 Bedlington Terrier, this dog that looks like a woolly lamb was once a great favourite with miners. It was used to hunt badgers and otters. It is related to the whippet. Its coat is thick and woolly to keep it warm and dry when swimming after otters. Available worldwide for immediate download up to 5,228 x 3,061 pixels.